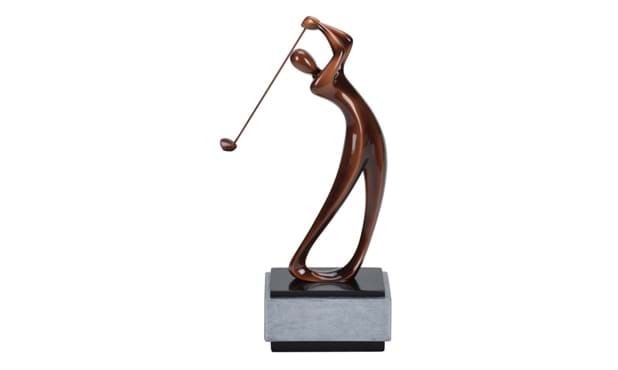 This 12" statuesque bronze modern golfer figure is mounted on a black and silver base. 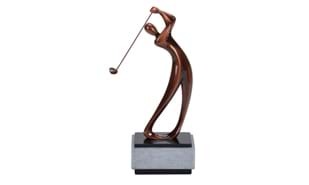 It can be used seamlessly as either an individual, team, or annual trophy. Main plate with inscription is included in the price. Individual names, player #, etc can be added for a small additional charge (see pricing schedule).